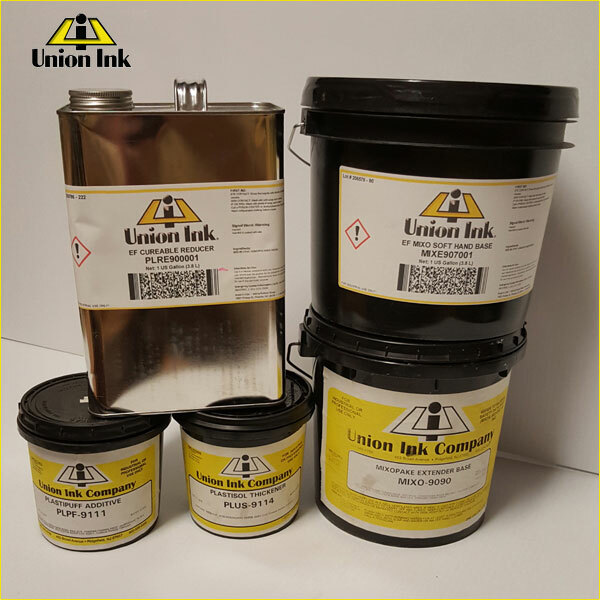 CMO Screen Printing Supply, Inc. is a franchised dealer for Union Ink products, Ulano Advanced Stencil Technology products, Kor-Chem environmentally friendly chemicals, Camie & Sprayaway pressroom products, PMI tape products, Nortech Graphics products, and J&S inks. CMO Screen Printing Supply, Inc. carries virtually every item a screen printing shop could need. If we don't have what you are looking for, CMO will make every effort get it for you and keep it on hand for your future needs. We also are very active with social media. So if you have a large equipment purchase in your future or equipment that you are trying to sell, we can help you with that as well. 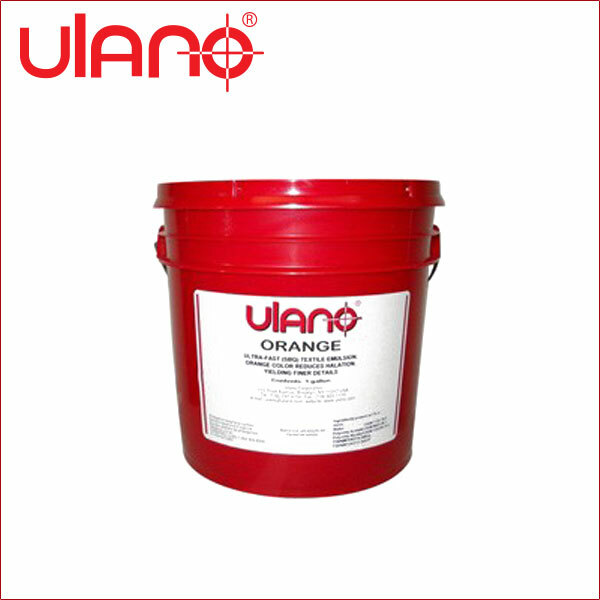 Ulano specializes in the manufacture of stencil-making products and chemicals for screen printing. 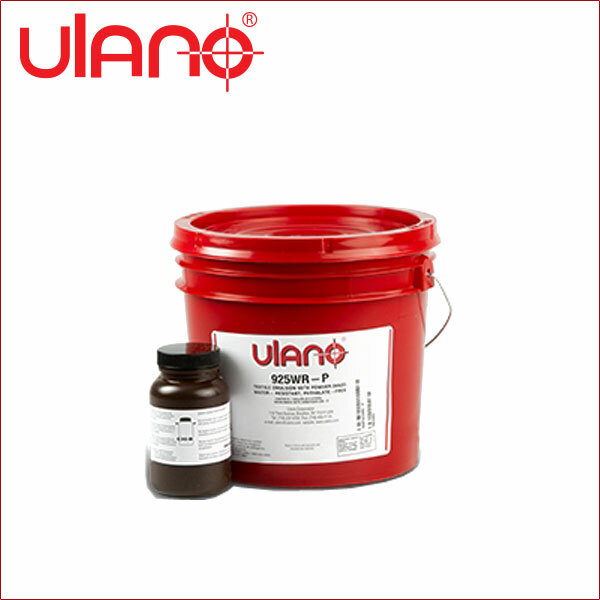 Ulano also supplies masking films, inkjet media, automated coating equipment, exposure test positives, and stencil evaluation tools. QTX is a ready-to-use, ultra-fast exposing SBQ photopolymer direct emulsion formulated for imprinted sportswear applications. QTX's high solids content provides superior coating properties, better bridging of coarse mesh, and fast drying. QTX is designed for plastisol inks, is extremely durable and reclaims easily. Do not subject to strong solvents during printing or wash-up. QTX is presensitized, and must be handled in yellow safe light conditions before exposure. Orange is a ready-to-use SBQ-photopolymer direct emulsion formulated for imprinted sportswear printing. It is formulated with a "masking color" that reduces light scattering - the major cause of loss of resolution. With Orange, it is possible to use less costly white mesh without the closing up of fine lines and details. Despite its anti-halation color, Orange is ultra-fast-exposing! It is perfect for shops with high stencil making throughput, as well as shops with fluorescent tubes or other low-intensity light sources. Orange has high viscosity (6,000 - 8,000 centipoise) that improves control when coating screens by hand and makes it a good choice for coarse mesh. Its high solids content (44% - 46%) results in better mesh bridging and edge definition, and fast drying. Orange resists plastisols, most washup solvents, and some water-based textile inks, and it is easy to reclaim. Orange stencils are durable, will not become tacky under high humidity conditions, and have excellent wet strength and exposure latitude. Orange reduces stencil-making time-in coating (because of its high viscosity), drying (due to its high solids), and exposure (due to its high photo-sensitivity despite its "masking color". Platinum is a ready-to-use SBQ-photopolymer direct emulsion formulated for imprinted sportswear printing and other markets. It resists plastisol inks (including newer, more aggressive, post-phthalate plastisols) and most washup solvents, making it easy to reclaim in automatic equipment or by hand. It is formulated with a gray color that reduces light scattering throughout all spectral ranges reducing loss of resolution. This coloration combines good contrast with easy see-through. It is well suited for certain computer to screen systems. Due to innovative gray coloration it exposes well throughout the thickness of the stencils. With Platinum, it is possible to use less costly white mesh without the closing up of fine lines and details. Despite its anti-halation color, Platinum is ultra-fast-exposing! It is perfect for shops with high stencil making throughput, as well as shops with fluorescent tubes or other low-intensity light sources. Platinum has high viscosity (8,000 - 10,000 centipoises) that improves control when coating screens by hand and makes it a good choice for coarse mesh. Its high solids content (40% - 41%) results in better mesh bridging and edge definition, and fast drying. Platinum stencils are durable, will not become tacky under high humidity conditions, and have excellent wet strength and exposure latitude. Platinum reduces stencil-making time-in coating (because of its high viscosity), drying (due to its high solids), and exposure (due to its high photo-sensitivity despite its "masking color"). QFX is a ready-to-use, fast exposing SBQ photopolymer direct emulsion formulated for industrial halftone and fine detail graphics printing with solvent inks. QFX has superb resolution and offers high solids content for stencils with exceptional edge definition. Recommended for fine detail and halftone printing. QFX resists most solvent-based inks, is extremely durable, and reclaims easily. QFX is presensitized, and must be handled in yellow safe light conditions before exposure. 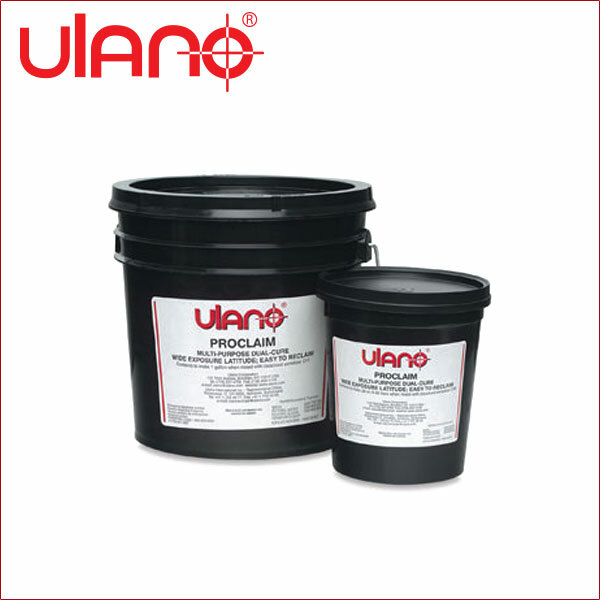 Proclaim is a diazo-photopolymer (dual-cure) emulsion formulated to provide unequalled exposure latitude and ease of decoating, even if underexposed and used with aggressive inks and washup solvents. If you're having reclaiming problems, this is the way to go! Proclaim is multi-purpose, fast exposing, and provides superb resolution and acutance. Its high solids content (37%) provides better stencil build per coat, excellent bridging of coarse mesh, and fast drying. Proclaim has superb coating properties and durability and it is resistant to a wide variety of solvent-based inks, and water-based and UV coatings. Proclaim is very suitable for general purpose graphics, textile, and industrial applications. Latitude, resolution, and edge definition are excellent, which makes it ideal for fine line and halftone printing. Proclaim is light blue in color; light green with diazo added. Exposed areas revert to the original blue color, providing a built-in indicator of adequate exposure. 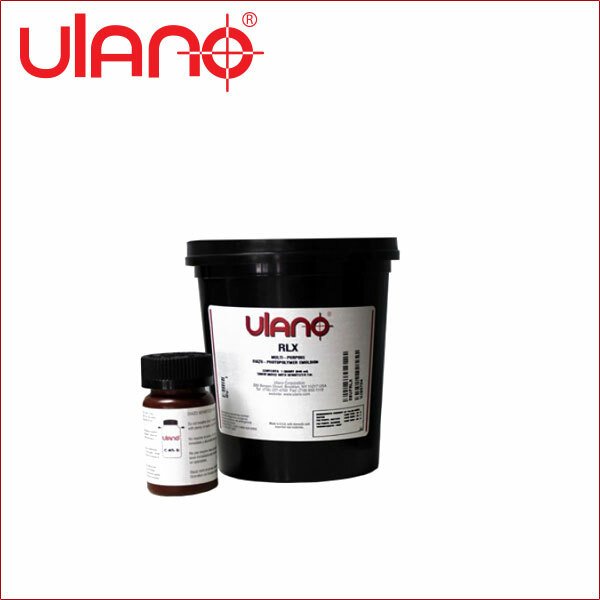 RLX is a multi-purpose high speed diazo photopolymer direct emulsion. RLX's very high solids content provides better stencil build per coat, excellent bridging of coarse mesh, and faster drying. 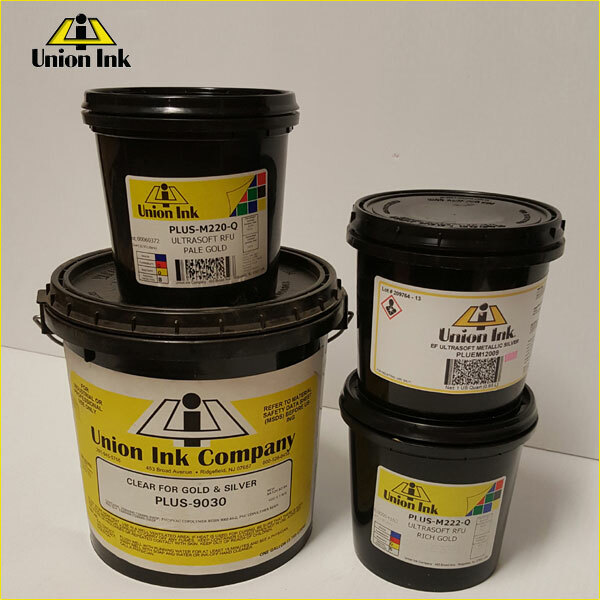 RLX has superb coating properties and durability, and is resistant to a wide variety of solvent and water-based ink systems. RLX/CL is supplied clear for easier see-through registration. RLX is recommended for imprinted sportswear, P-O-P, and advertising specialty printing. 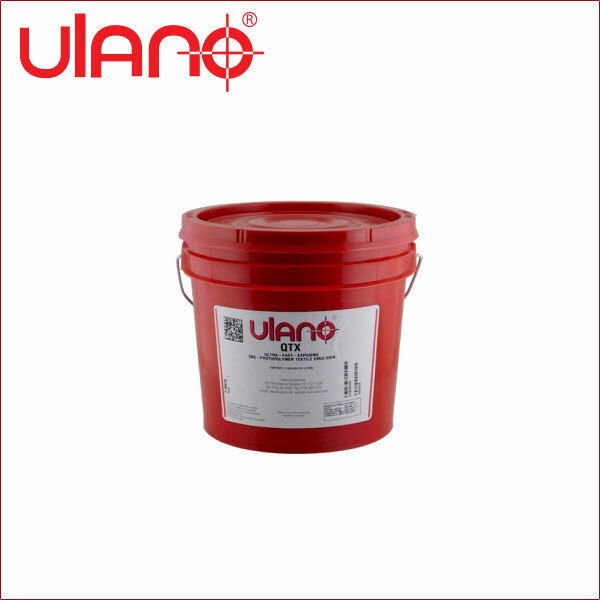 925-WR shares the main characteristics of Ulano's TZ emulsions, but with a higher solids content and even better resolution, edge definition, and exposure latitude. Stencils produced with 925WR/995WR are completely water resistant and very durable. 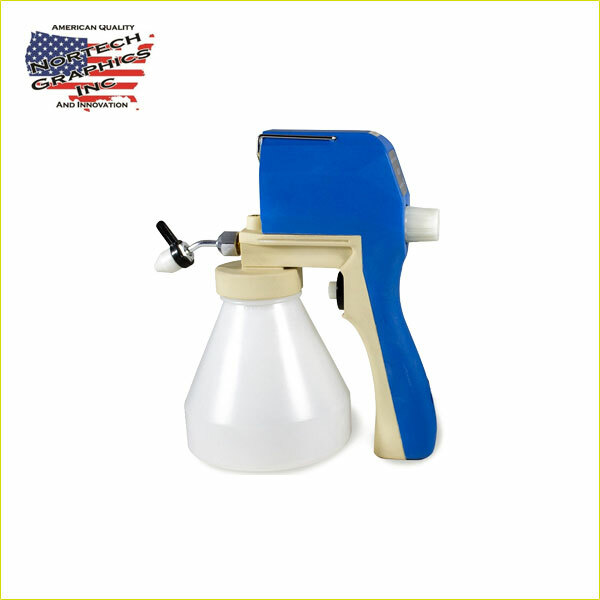 925WR/995WR comes with a syrup diazo sensitizer, for faster and surer mixing. Recommended for imprinted sportswear applications. PHTHALATE-FREE. 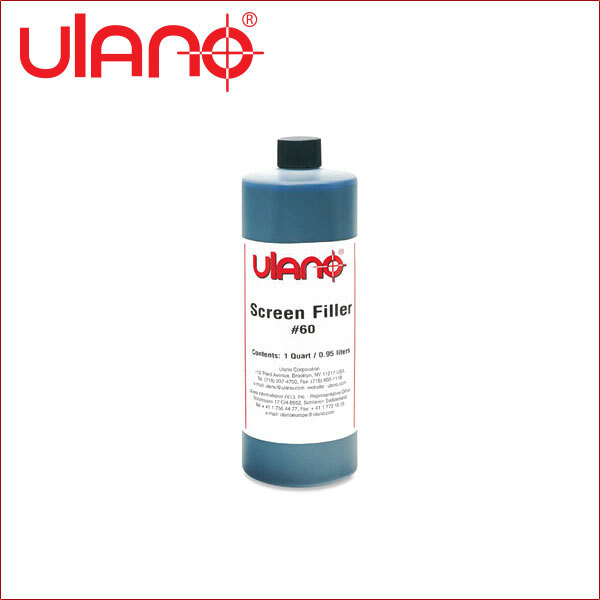 #60 Screen Filler is a water-soluble screen filler with drying characteristics similar to Indirect Films. It can be used full strength for touch-ups or thinned with water if desired. It can be used in unventilated rooms since it contains no VOCs. Recommended for use on all mesh, with all stencil systems. Use only with non-aqueous inks. PRODUCT DATA - Color: Blue. VOCs: none. Storage at room temperature 68°-75°F (20°-25°C): 2 years in original container. (Air dries, so keep the cap on). Disposal: Blue Screen Filler #60 is biodegradable and can be emptied down drains safely. Flash point: not applicable - no solvents. Available in quarts and gallons. 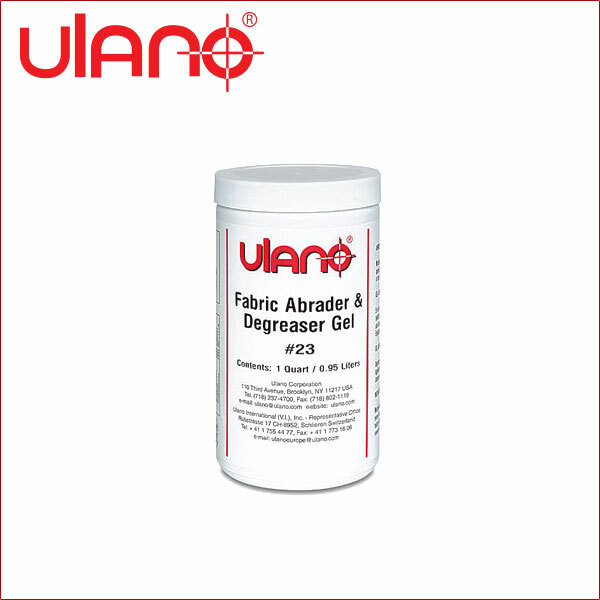 GEL #23 is an abrasive degreaser gel that combines the actions of Microgrit No. 2 and Screen Degreaser Liquid No. 3. 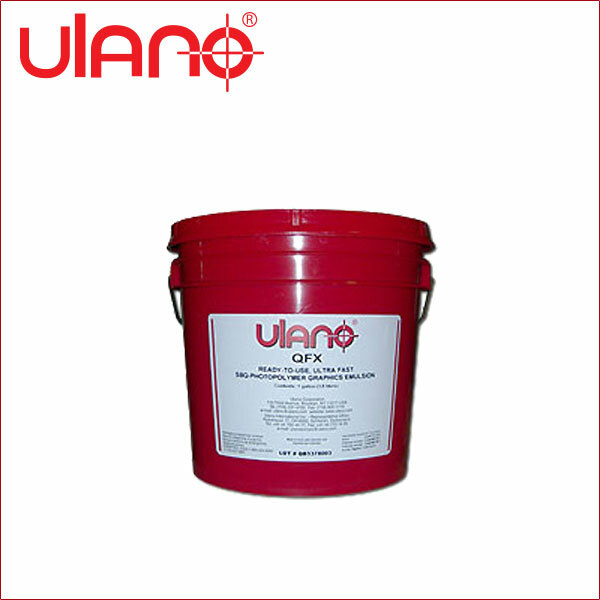 The abrading action of Ulanogel #23 promotes better wetting of the mesh and adhesion of the stencil and thus longer press life. Its degreasing action removes dirt, dust, and oils from the mesh, reducing the risk of stencil failure and pinholing. Ulanogel #23 is ready-to-use and rinses off in hot or cold water. Its thixotropic character permits easy and effective preparation of larger screens held in a vertical position. 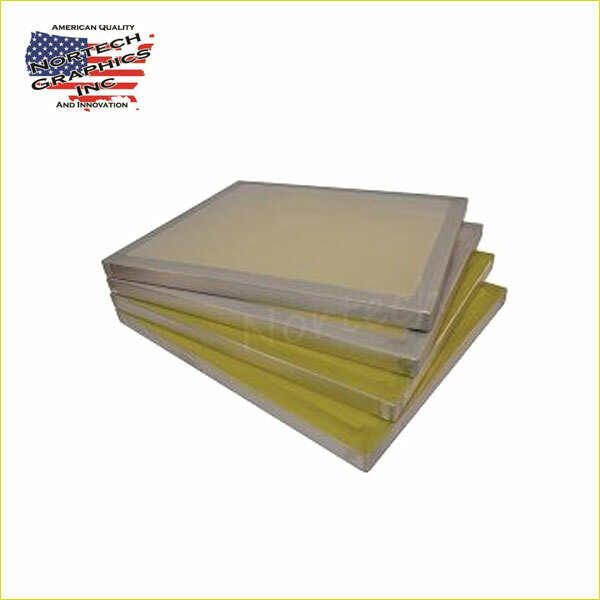 Non-caustic, will not harm frames, mesh, or adhesives on stretch and glue frames. Recommended for use with all stencil systems on synthetic mesh only. 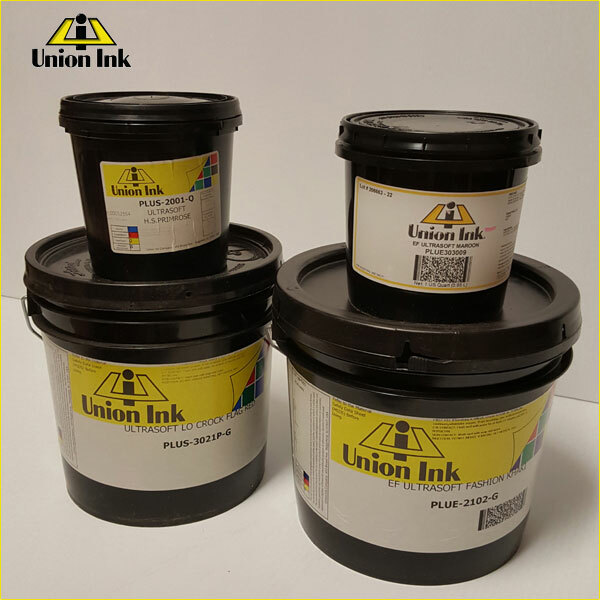 Union Ink makes a full line of off the shelf products as well as custom made inks to your specific requirements. They make some of the finest textile printing plastisols on the market. 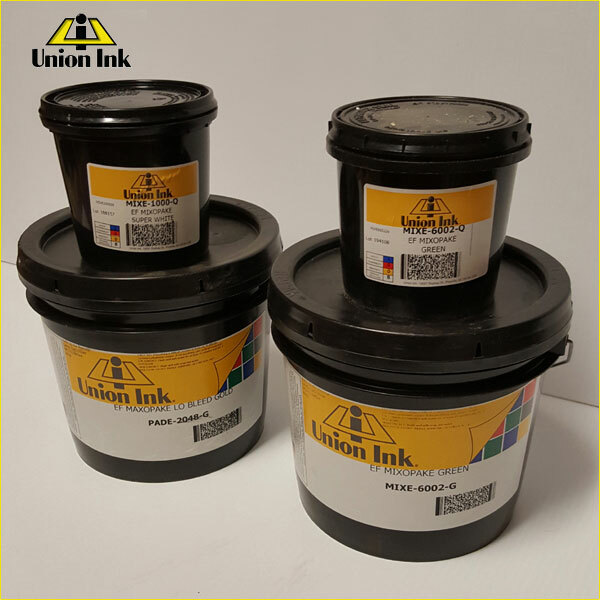 From the general purpose PLUS series to the highly acclaimed MIXOPAKE Pantone® color mixing system, you can count on only the highest quality inks coming form Union Ink. 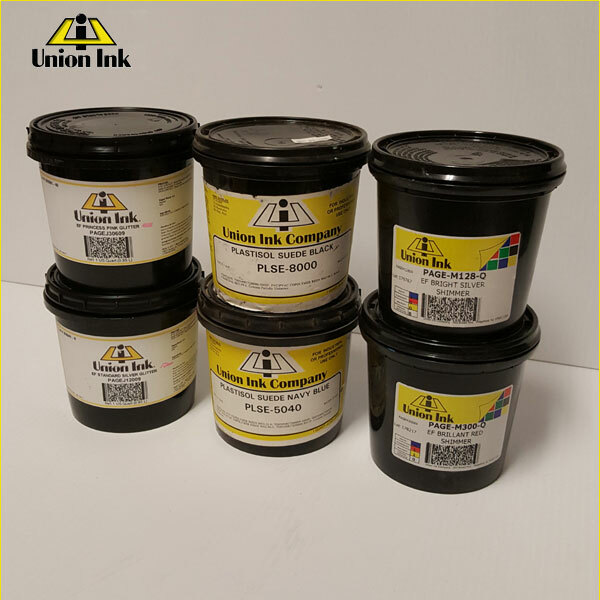 General Purpose Inks: Also known as soft hand inks, general purpose inks are used on a wide variety of garment types and colors, for direct prints and transfers, and on manual and automatic presses. Ultrasoft (PLUS/PLUE) is a general purpose ink. These inks are typically used on light colored garments. High-Opacity Inks: To print on medium and dark-colored fabrics, you must use high-opacity inks. Mixopake (MIXO/MIXE) inks and Maxopake (PADM/PADE) inks maintain their colors even when printed on black. Low-Bleed Inks: Dye migration, which occurs when dyes in polyester fibers dissolve into and change the color of plastisol ink is one of the most severe technical challenges in textile screen printing. 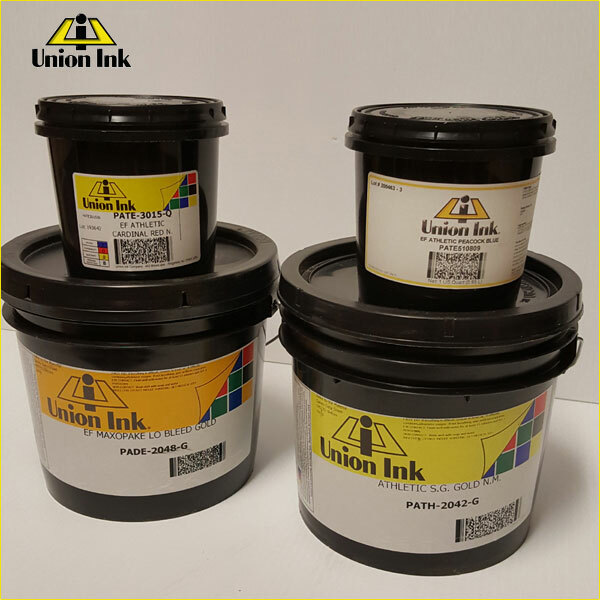 Union Ink has added bleed-resistant low-bleed whites and yellows to their Mixopake (MIXO/MIXE) and Maxopake (PADM/PADE) inks. A series of inks called Polyester (POLY/ATHP) was formulated in 14 colors to help fight dye migration on 100% polyester athletic uniforms or other fabrics prone to severe dye migration. 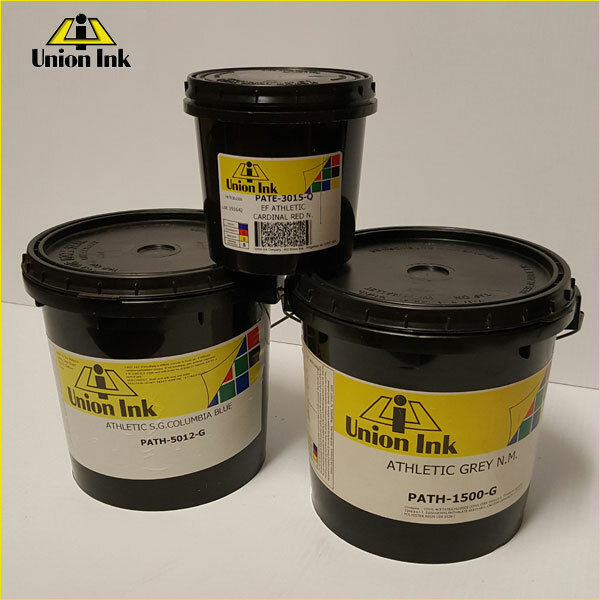 Athletic Inks: Used for printing on nylon athletic uniforms, Athletic Gloss (PATH/PATE) is an opaque ink with a durable, high-gloss finish that will adhere to the widest variety of fabrics. For 100% polyester athletic uniforms Union manufactures the Polyester Series (POLY/ATHP), a set of 14 athletic colors that have shown great resistance to dye migration. For Lycra/Spandex or other extremely stretchy fabrics, Unistretch White or the addition of Unistretch Clear to the Athletic Gloss Series helps prevent cracking in designs that are stretched beyond normal proportions. 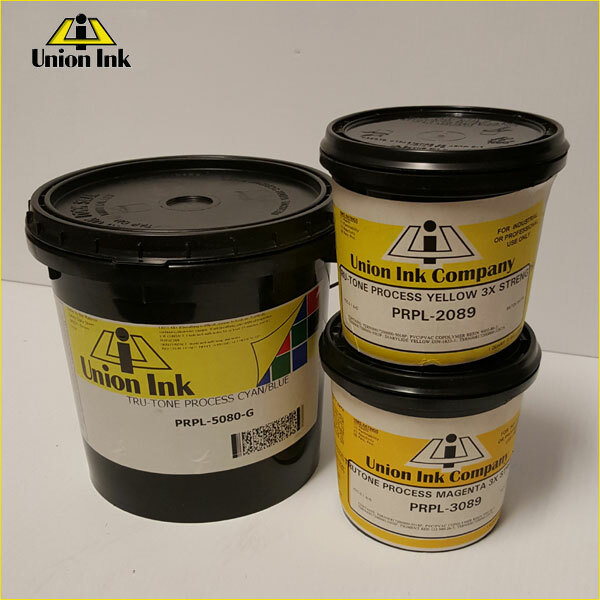 Process Inks: Union Ink has pioneered the development of inks for process-color printing. Our Tru-Tone (PRPL/PRPE) is the industry standard for consistent process-colors. Tru-Tone's unique chemistry causes each individual dot to return to its resting viscosity faster than competitive process inks thus minimizing dot gain and improving image sharpness. Metallic Inks: Metallic plastisols are a unique addition to the printer's color palette. True gold and silver metallic shine is achievable with these inks. They print best through coarser mesh screens. To retain their sparkle and sheen through repeated laundering it is recommended but not required to top coat these colors with a clear finish. Metallic inks have a stunning appearance on dark garments. Special Effect Inks: Plastisol inks are available in an amazing array of special effect formulations. Puff inks are the most popular special effect ink. Plastipuff (PLPF/PLPE) provides a high loft and an extremely opaque, durable print. 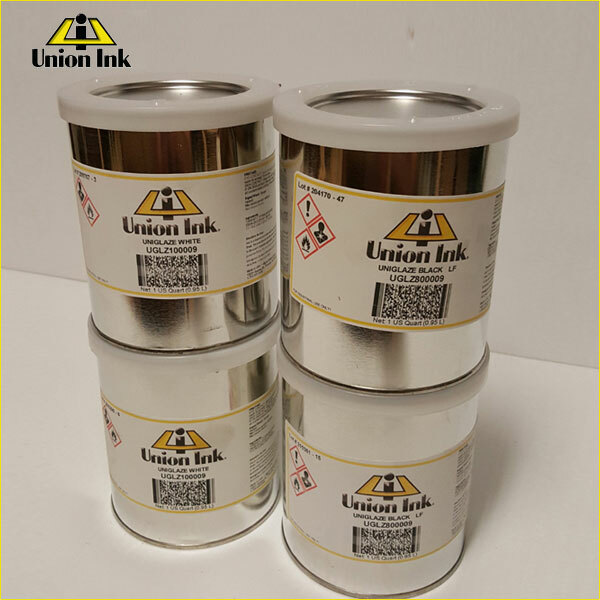 Union Ink also manufactures other popular novelty inks such as Glitter (PAGL/PAGE J or S), Shimmer (PAGL/PAGE-M), Suede (PLSE/NPSU), Flash-Back (REFL/REFE), Photochromic (PHOT/PHOE) and Hi Square (3DSQ/3DSE). Flash-Trans (FLTR), is a system where printers can produce customized light-reflective designs that are safety rated for use by fire departments and other public safety workers. Union's newest addition to their special effects inks, Holographic Glitter (HALO/HALE), is a series of 10 sparkling, glitter colors formulated to produce not only a glitter effect but also emits a pearlescent or holographic look when viewed in direct sunlight or under any point light source. Additives: There are many additives and "modifiers" that can be used with plastisol inks including extender bases, soft hand bases, curable reducers, puff additives, and thickeners. There is a solution to every ink issue that may arise. Please call with specific questions regarding modifying your inks. Specialty Inks: Some non-textile applications require specific products to withstand durability issues and environmental conditions. Uniglaze is one of these products. It's epoxy formulation enables it to withstand severe climate and wear situations. Uniglaze is used in some military and electronics applications. Please call for information about availability and proper certifications for it's use. 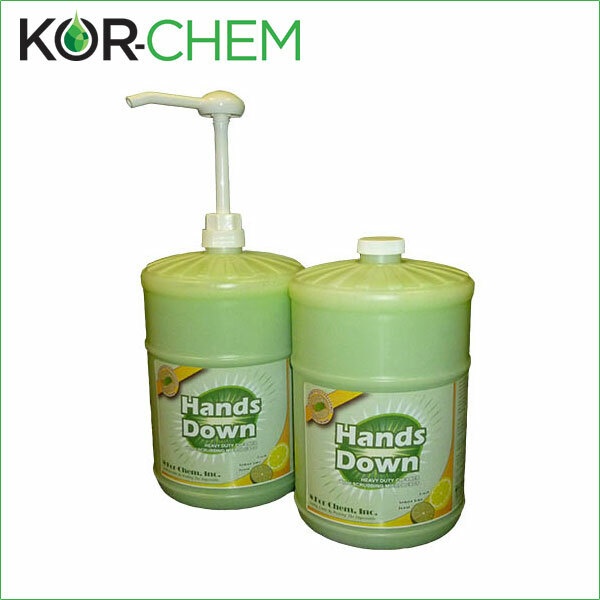 Kor-Chem continues to innovate as a growing leader in formulating and manufacturing specialty chemical solutions. Their impressive portfolio includes over 2000 products in institutional cleaners, industrial products, printing inks and cleaners, coatings, adhesives and pigment dispersions. Kor-Chem moves forward with a relentless commitment to delivering customers innovation, dedicated service and customized solutions. 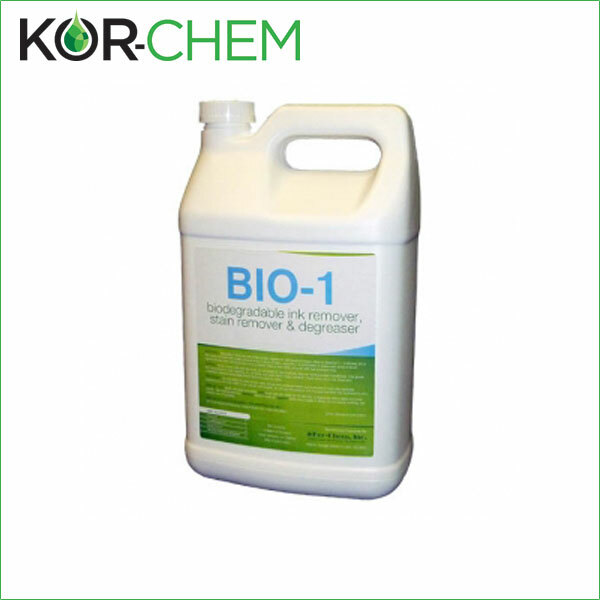 Bio-1 is a water soluble ink degradent and stain remover. Formulated using biodegradable and organic compounds that make Bio-1 environmentally acceptable, safe, and highly effective. The 100% active formula of Bio-1 works on contact by immediately penetrating and dissolving all types of graphic and textile inks. Bio-1 efficiently removes plastisol, UV, conventional/solvent based, water based, enamel, electronic, epoxy, and vinyl inks from screens. The built in ink stain remover aggressively removes image stains without harming the mesh. Bio-1 rinses freely and easily with water and has a very pleasant bubblegum scent. Bio-2 is a revolutionary, fast acting ink remover designed for rapid, safe removal of screen printing inks and remaining ghost image. 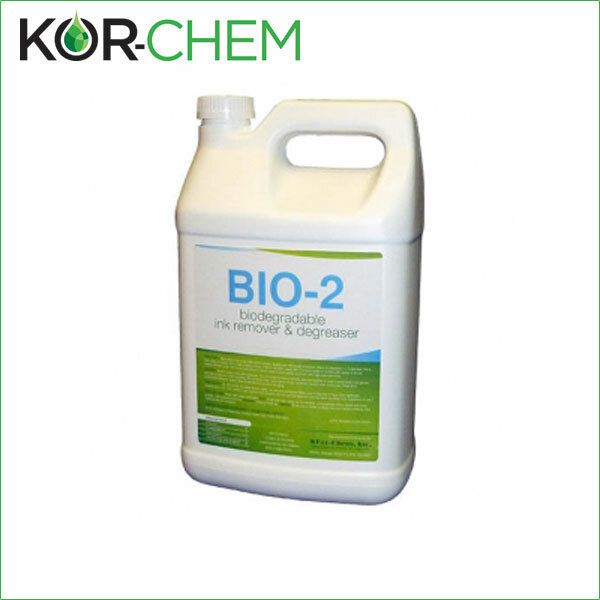 Bio-2 contains biodegradable solvents and powerful penetrating agents that enable inks to be easily removed. Bio-2 is very aggressive while safe for the user and the mesh. 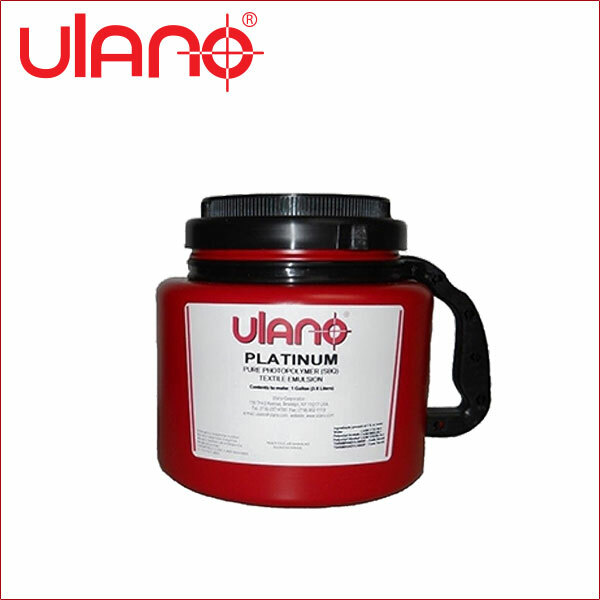 Excellent for use on UV, solvent, and conventional ink systems. 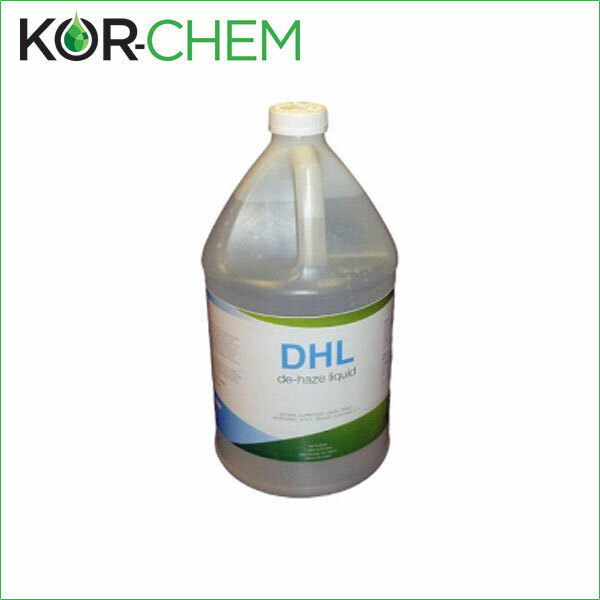 DHL is a powerful caustic cleaner for removal of stains and ghost images from screens during the reclaiming process. Use DHL when ever stubborn stains persist in screens. DHL will de-haze and degrease the screen and help prevent haze from occurring. 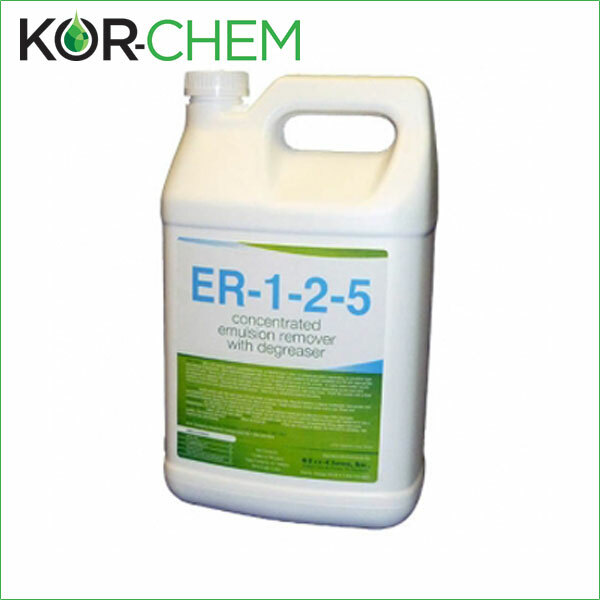 ER-1-2-5 is a concentrated emulsion remover formulation designed for fast removal of emulsions and capillary films from screens by means of spray or wipe-on application. ER-1-2-5 has degreasers built in to eliminated additional steps in the reclamation process. ER-1-2-5 is diluted one part solution to five parts water. 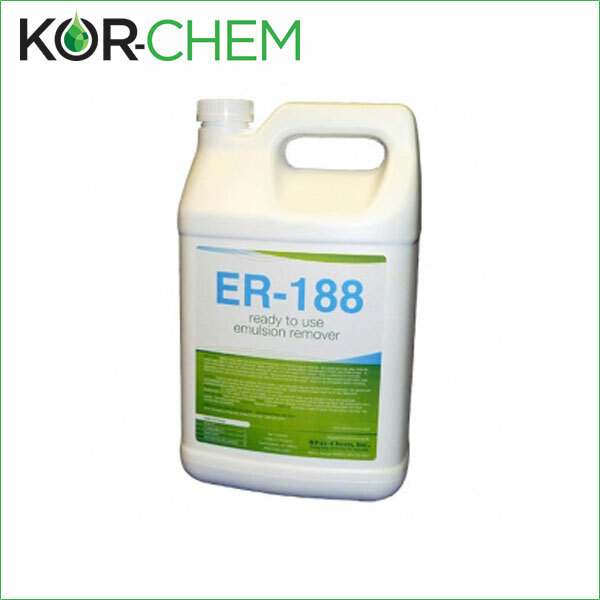 ER-188 is a full strength emulsion remover designed for fast removal of emulsions and capillary films from screens. CMO also offers ER-288 which is a more aggressive formula for use on more stubborn stencils. PC-175 is a powerful, fast acting press wash and screen image opener. This product is formulated using non-hazardous, biodegradable organic solvents. An excellent solution for press side wash up, on press color changes, equipment clean up, adhesive removal and in preparation for screen reclaim. 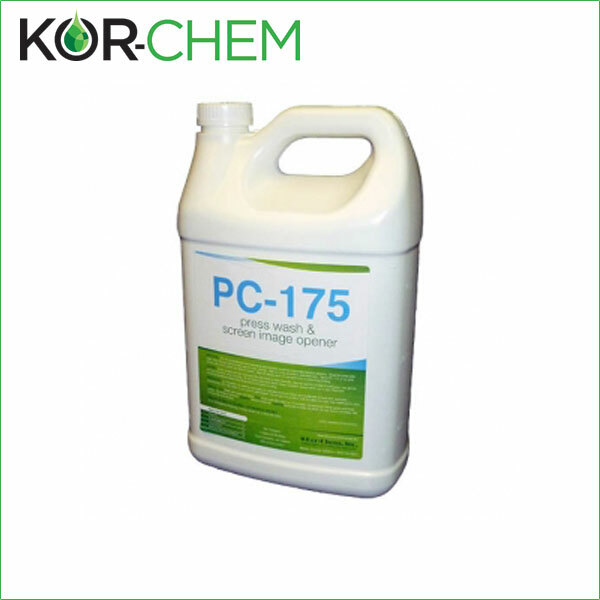 PC-175 is designed for use on plastisol, conventional, solvent, UV, vinyl, enamel, epoxy, and water based inks. Also great for removing vinyl adhesive! 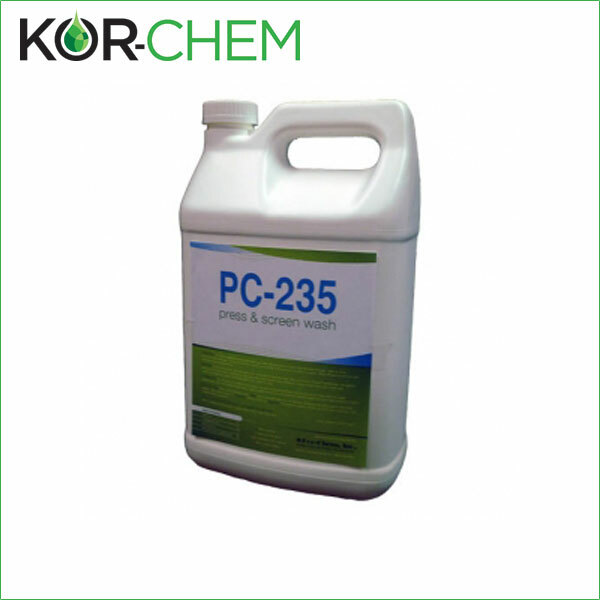 PC-235 is a fast acting press and screen wash that easily opens up image areas on the screen during the production run. Excellent for press side wash up, color changes, and as a pre-step to color changes using plastisol inks without harming the screen emulsion. PC-235 protects the screen fabric from deep stains or ghost images from the image print and will make the screen much easier to completely reclaim once that step is necessary. 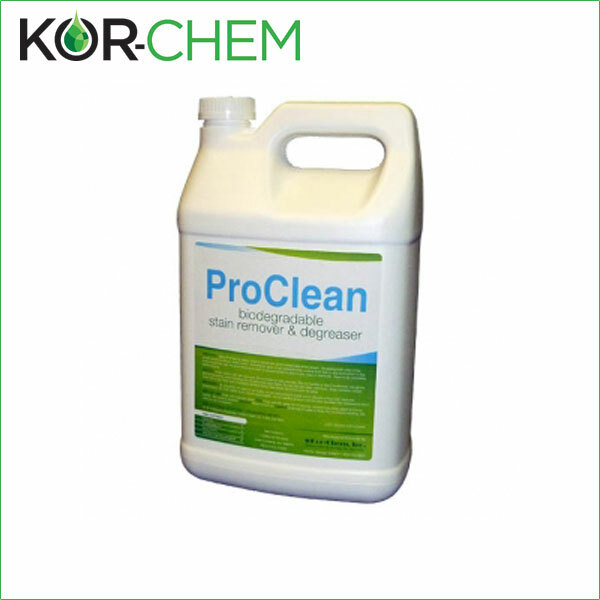 ProClean is a concentrated cleaner designed to remove all remaining stains from screens during the reclaiming process. ProClean will degrease the screen and help prevent ghost images from occurring. Truly a must have for textile printers. ProWash is designed to open dried or clogged images on the screen during the production run. ProWash is great for use on textile inks without harming the emulsion. Excellent for press side wash up, color changes, and as a pre-step to color changes. ProWash does not have any harsh solvent odors and is practically odorless! ProWash may be rinsed with water and is drain safe. 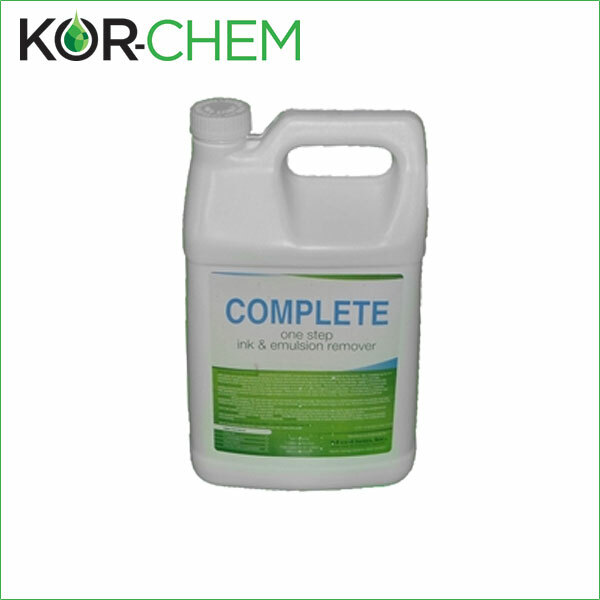 Complete is a super fast acting one step product that removes ink, block out, emulsion, and capillary film from the screen all at once. Complete begins to work on contact and easily removes all types and combinations of inks and emulsions. Complete streamlines screen reclaiming, decreases labor, consolidates products, and dramatically reduces the cleaning cost per screen. A versatile, biodegradable solution designed to be used in a variety of ways. Complete can be applied by spray for manual cleaning or used in dip tank applications. 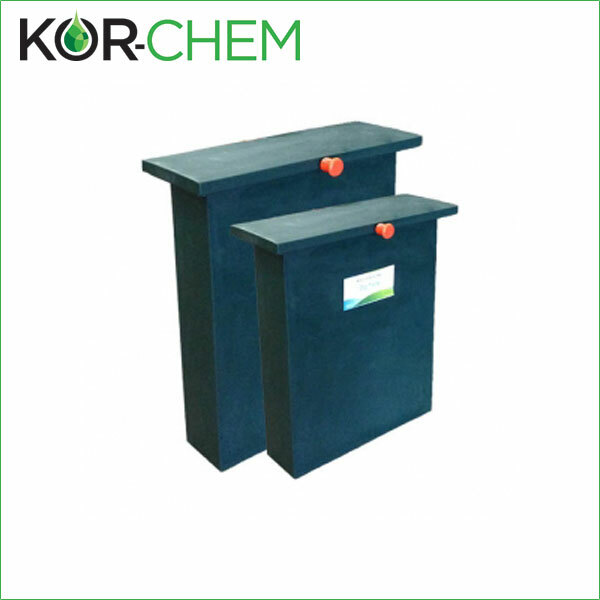 Kor-Chem Dip Tank Manual and Automatic Reclaiming Systems. Manual Screen Dip Tank System Includes 14 Gallon Dip Tank & Lid, Screen hold down rod and handle, Dimensions: 24"W x 30"H x 4.5"D, Sturdy polyethylene construction, Fits screen sizes up to 20x24". Automatic Screen Dip Tank System Includes 37 Gallon Dip Tank & Lid, Screen hold down rod and handle, Dimensions: 30"W x 36"H x 8"D, Sturdy polyethylene construction, Drain port and faucet, Fits screen sizes up to 23x31". Shop Magic is a heavy duty, concentrated alkaline cleaner with built in cleaning power that will effectively remove grease, oil, fats, carbon, wax, ink, tar, asphalt, and other stubborn soils. 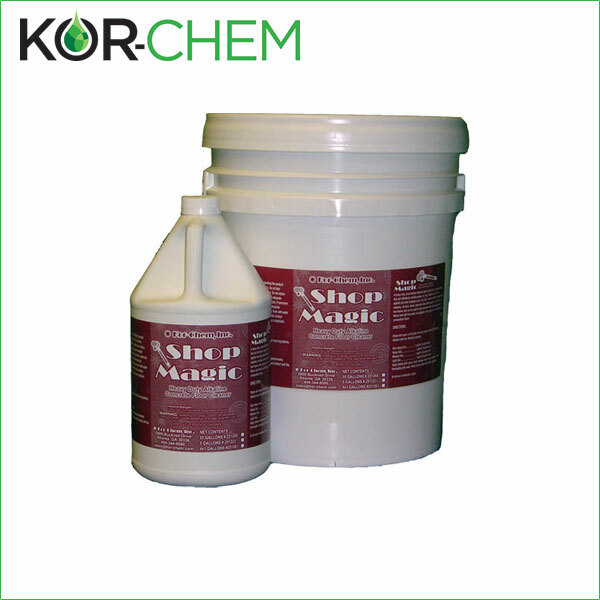 Shop Magic is a very low foamer and is designed for use in auto-scrubbers and related equipment. The product is not designed for composition floors. Hands Down is a heavy duty liquid hand cleaner specially formulated with scrubbing microbeads that provide a gentle deep cleaning action. For more than 60 years professionals from wide-ranging industries have relied on Camie-Campbell products for their industrial maintenance and production needs. CMO Screen Printing Supply, Inc. is proud to be an authorized distributor for Camie products. 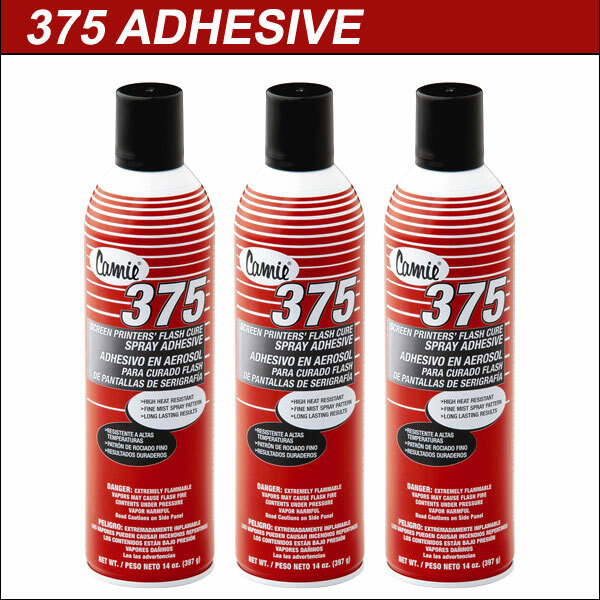 Camie 375 Screen Printers' Flash Cure Spray Adhesive is specifically designed for the screen print industry. Holds most textile products, including fleece garments and is a clear mist spray particularly suited for the rapid heat cycles encountered in the flash cure process. Camie 380 is specifically designed as a pressure-sensitive pallet adhesive that does not stain. Offers quick tack, has low soak-in and will not wrinkle fine materials. Camie 380 remains pressure-sensitive for an extended period of time. Excellent for making short-term bonds and releasing from the garment. 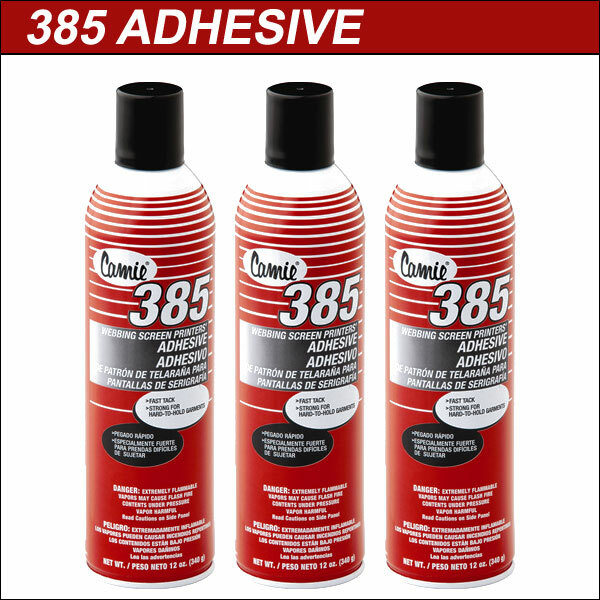 Camie 385 Webbing Screen Printers' Adhesive is a clear pressure-sensitive webbing adhesive that will not wrinkle the work while in use. Specifically designed for fleece and other high density garments. Fast tack. 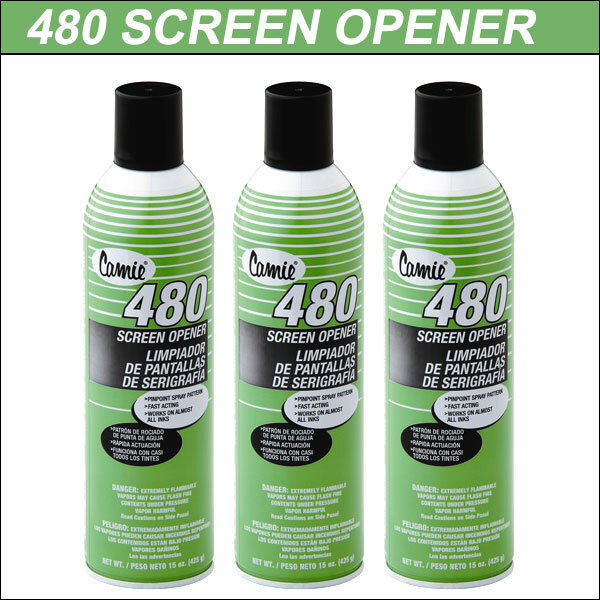 Camie 480 Screen Opener works to unclog screens and loosen plastisol inks on screens. Works fast to reduce down-time on screen printing projects. Pinpoint spray pattern. Nortech Graphics was founded in 2005 and they have been providing some of the finest aluminum screen printing frames, squeegees, and screen and squeegees racks in the industry. We have a variety of Nortech Graphics products in stock and available for immediate purchase. Aluminum Frames: CMO's aluminum frames are cut from 6005T5 alloy, pulse welded securely to ensure a water tight seal, and ground smooth for flatness and handling ease. CMO utilizes the highest quality, Italian made, Saati mesh which achieves exceptional levels of performance. Mesh counts range from 17 tpi to 508 tpi. Our two most common screen sizes are 20" x 24" and 23" x 31". Please keep in mind, any size frame can be ordered. ALL FRAMES ARE 100% MADE IN THE USA! 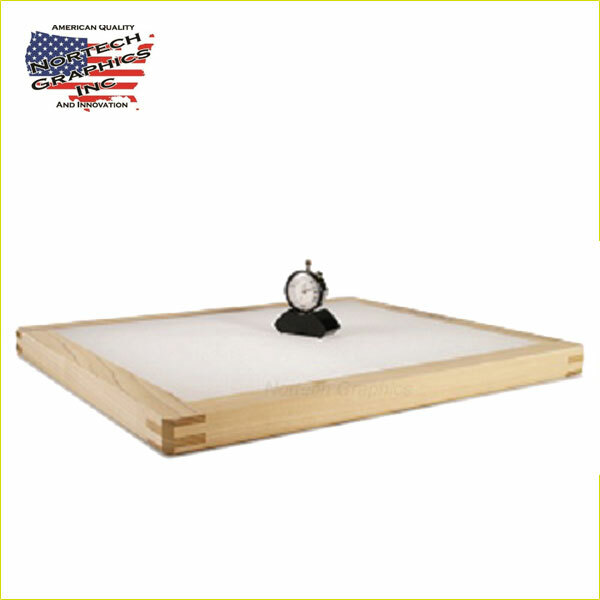 Wood Frames: CMO's wood frames are handmade out of grade #1 poplar hardwood. They feature an offset two finger mortise and tenon joint for superior strength and durability. By making the strongest wood frame on the market, CMO is also able to stretch some of the highest mesh tensions available for wood frames. Frames are finished with a clear, environmentally safe, water-based wood sealer. CMO utilizes the highest quality, Italian made, Saati mesh which achieves exceptional levels of performance. Mesh counts range from 17 tpi to 508 tpi. Please keep in mind, any size frame can be ordered. ALL FRAMES ARE 100% MADE IN THE USA! 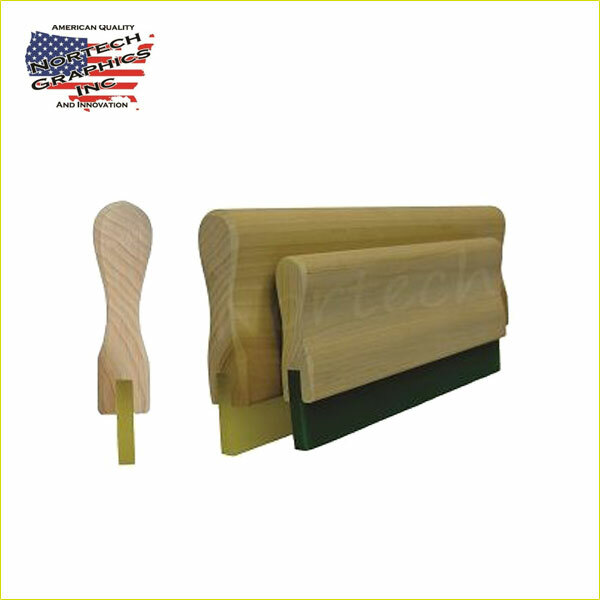 Squeegees: CMO's squeegees are manufactured with the same top quality poplar hardwood as our wood frames for years of durability. 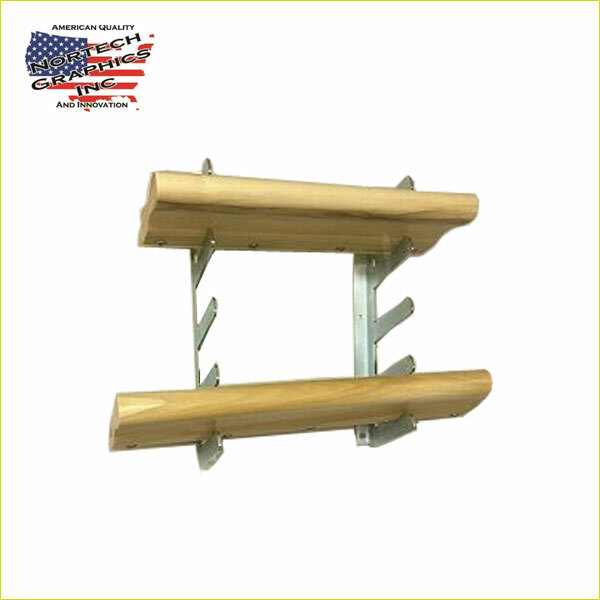 They are available in a standard size (4-5/8") or a small handle (3-1/2"). 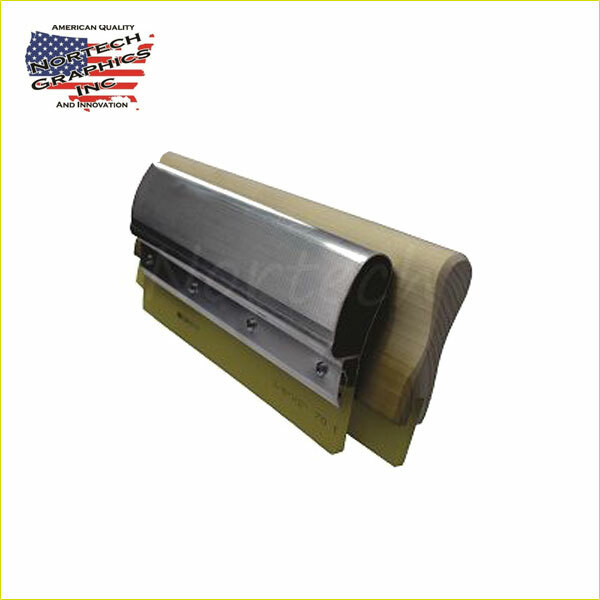 CMO's squeegees are available with or without blades and come in three systems to choose from: uncoated handle, clear coated handle, or aluminum handle, with the option of blades glued or bolted in. Squeegee Racks: CMO's squeegee storage racks easily mount on the wall to keep squeegees off of tables and out of the way. No more knocking them on the floor or walking by and getting ink on yourself from touching the squeegee blade. The squeegee rack will hold five squeegees. 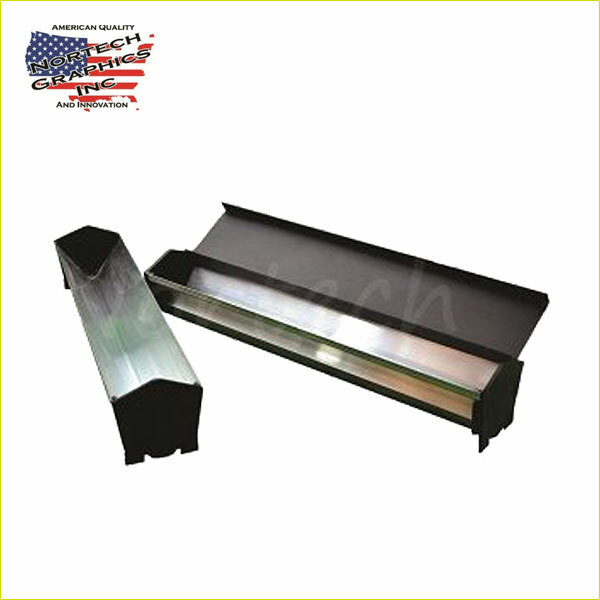 It is extremely durable and will hold wide squeegees as well as smaller ones. This is an invaluable tool to have in the shop, not only for storage, but to allow your squeegees to last longer as well. It is extremely affordable. Scoop Coaters: CMO's scoop coaters feature a dual-sided coating edge for either a sharp edge thin coat for higher screen mesh, or a rounded dull edge for coating lower mesh screens. Extruded from T5 aluminum, this coater is comfortable to handle, sits easily on flat surfaces between coats, and holds an ample amount of emulsion for lengthy coating sessions. The scoop coater comes complete with snap-on injection molded end caps as well as a full top snap-on edge protector. Spot Cleaning Gun: High pressure spray with ergonomic design that assures positive control and operator comfort even at maximum flow and pressure conditions. CMO also offers spot cleaning solvents to be used with these guns. Packaging Materials, Inc. has been a packaging supply distributor and manufacturer since 1990. 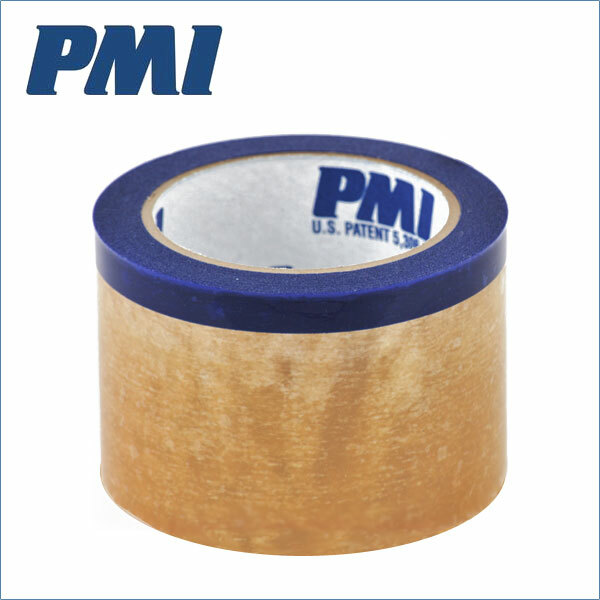 Their environmentally friendly tape products are excellent for use in screen printing and have been a staple in the industry for years. 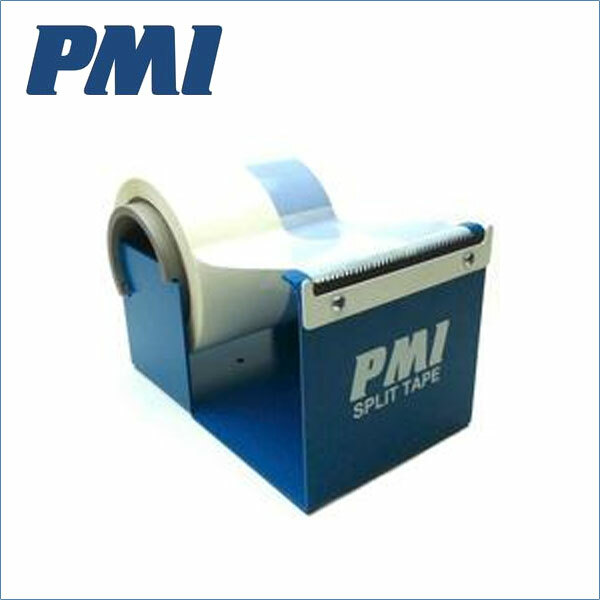 451 Split Tape: Blue areas do not contain adhesive allowing Split Tape to peel cleanly without leaving residue, tearing, or damaging your emulsion. For masking the inside of rigid aluminum, roller, and wood frames. 451FA Full Adhesive Tape: Same adhesive and backing as Split Tape allowing for a clean removal. Just without the blue adhesive-free areas. For taping further into the screen, taping the print side of screens as a block out tape, and masking the inside of wood frames. 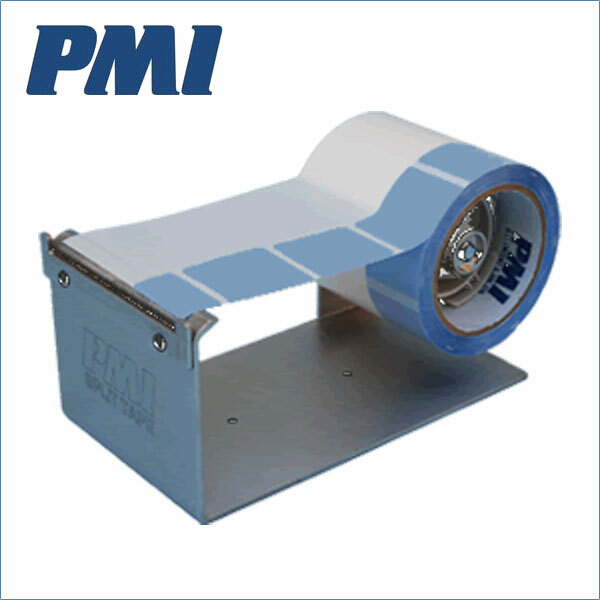 260 Quick Rip Tape: Hand tearable with a blue non-adhesive edge providing a tab to lift Quick Rip Tape from the screen. Same adhesive and backing as Split Tape allowing for a clean removal. For taping the print side of screens as a block out tape. Deluxe Dispenser: Durable, thick, stainless steel construction. Elevated cutting edge allows for easy measuring and cutting while the frame is pushed against the dispenser. Knob on spindle controls the tension of tape unwind. 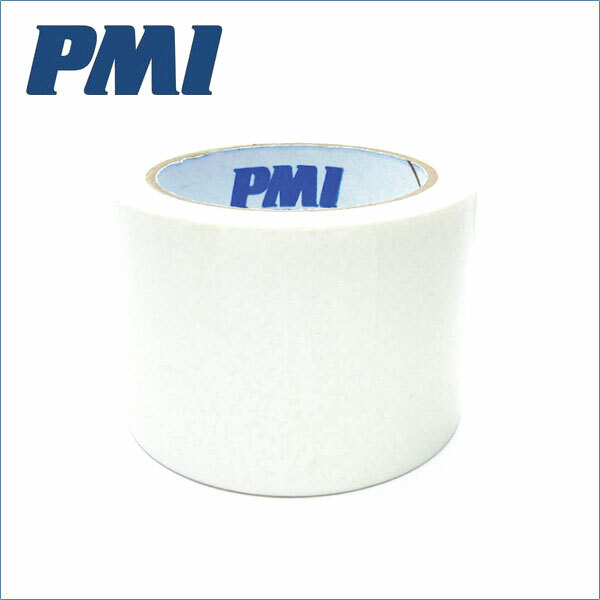 For Split Tape and Full Adhesive Tape (all sizes). Blue Dispenser: Elevated cutting edge allows for easy measuring and cutting while the frame is pushed against the dispenser. 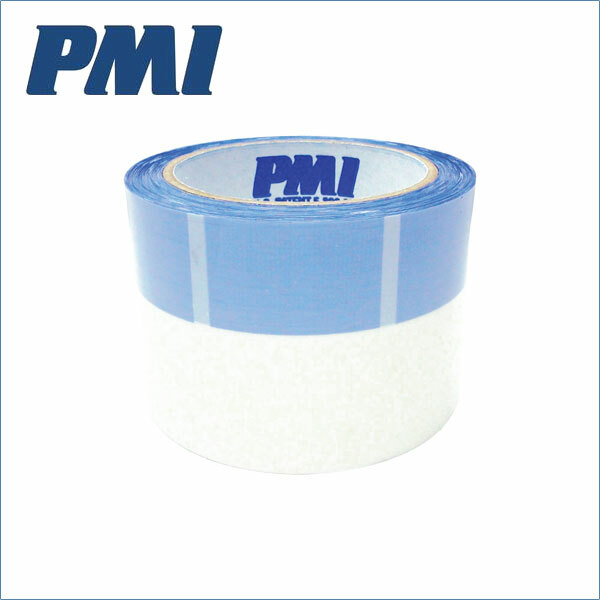 For Split Tape and Full Adhesive Tape (all sizes).